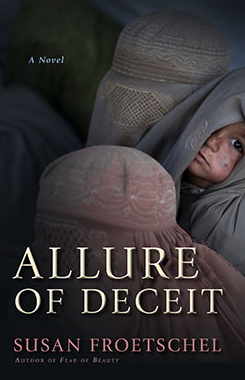 Allure of Deceit: Who says? "Labeling women who dare to speak up as followers of 'foreign' ideas is a favorite tactic of violent misogynists not limited to the Taliban). Calling them 'un-Islamic' is another. Religion is often used to dignify agendas that have more to do with intimidation than scripture.... This is as true of Islam as of Christianity. "Leaving the authority of religion entirely in the hands of thugs will ensure that it continues to be a barrier to women’s rights. Enlisting the support of religious figures and principles may in fact be the reformer’s best weapon." 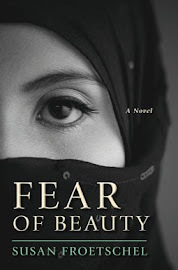 Fear of Beauty warns of adherents who must use their religion to intimidate and control. Insecure, full of doubt that their principles and values alone can attract a following, they must bully free thinkers into submission. 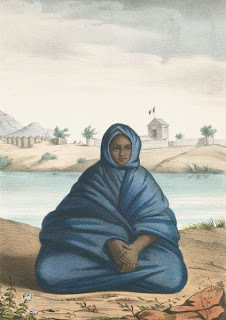 Photo courtesy of New York Public Library from Esquisses Sénégalaises; physionomie du pays, peuplades, commerce, religions, passé et avenir, récits et legendes,1853, and Wikimedia Commons.